It’s Monday morning and Jeremy McFadden, a fraud program specialist at Erie Insurance, is surfing Facebook. Jeremy isn’t reliving memories from the weekend—he’s knee deep in investigative work that saves ERIE and its Customers many thousands of dollars every year. Circumstances surrounding suspected fraud tend to be highly unusual. “There is a big red flag when truly fraudulent activity occurs,” says Gene. Insurance fraud is a crime in every state—and in most cases, it’s a felony. The property and casualty insurance industry estimates that fraud costs between $30 and $60 billion a year. Insurance fraud is the second most expensive white-collar crime after tax evasion—and it costs honest Customers, who eventually foot the bill in the form of higher premiums. Today, more people are making this connection. “Thanks to successful advertising and public awareness campaigns over the years, the way the public views insurance fraud has really changed,” says Frank Scafidi, director of public affairs at the National Insurance Crime Bureau (NICB), a not-for-profit organization that partners with insurance companies like ERIE and law enforcement agencies to fight insurance fraud. “People used to brag about getting one over on insurance companies, but there’s now a realization that this causes your friends and family to pay more,” he says. ERIE fights insurance fraud cases on many fronts. There’s old-fashioned detective work like visiting premises, conducting interviews and acting on tips. ERIE also uses sophisticated software and collaborates with the NICB, law enforcement and other insurers. Fraud investigation is about seeing the whole picture, and social media posts, photos and videos are increasingly a part of that picture. This doesn’t mean all information is free game. ERIE respects Customers’ privacy rights by only looking at publicly available information. That means ERIE investigators will never create fake profiles to “friend” or “follow” a Customer with a suspicious claim. Fortunately, such measures usually aren’t needed. • The Playground Scam: A claim was filed for a playground that was allegedly damaged beyond repair in a storm. The playground was disposed of, leaving ERIE no way of verifying the claim. A few weeks later, the claimant was selling the same playground on Facebook. • The Tractor Pull Scam: A claim was filed alleging an engine was damaged when someone put the wrong fuel in it. ERIE later found a YouTube clip and Facebook photos of the claimant participating in a tractor pull in the same truck. ERIE personal auto policies exclude coverage while participating in organized racing, high performance driving, stunting and similar sporting events. • The Livery Van Scam: Several people simultaneously filed claims to an ERIE personal auto policy. ERIE later discovered a Facebook page advertising the claimant’s van as a public transportation business. ERIE personal auto policies exclude transporting people or goods for hire. ERIE investigators have also unearthed many online photos and comments implicating claimants of committing workers’ compensation fraud. “I’ve seen claimants who are ‘too hurt to work’ post updates about their marathon training schedules or photos of themselves backpacking through the mountains,” says McFadden. 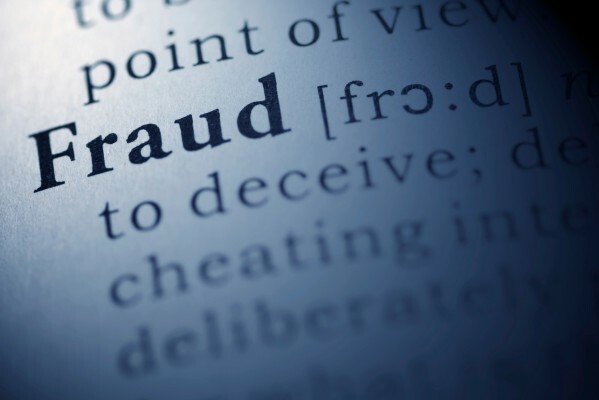 When ERIE presents someone with solid evidence of fraud, most people will withdraw or stop pursuing a claim. ERIE then turns things over to law enforcement, who will decide how to handle the crime. Though social media is playing an increasingly important role in combating fraud, your input still matters. If you suspect that someone is committing insurance fraud, let ERIE know by calling the toll-free Fraud Hotline at 800-368-6696 or emailing fraud.finders@erieinsurance.com. Together, we can reduce this costly crime.